Sweat & Sup | The Kids Beat | Kids VT - small people, big ideas! Drop off your kids, practice yoga for an hour-and-a-half, then come back for a hearty, healthy meal they've prepared for you. Sounds too good to be true, right? It's not, thanks to Richmond Community Kitchen's Family Night Out class series. 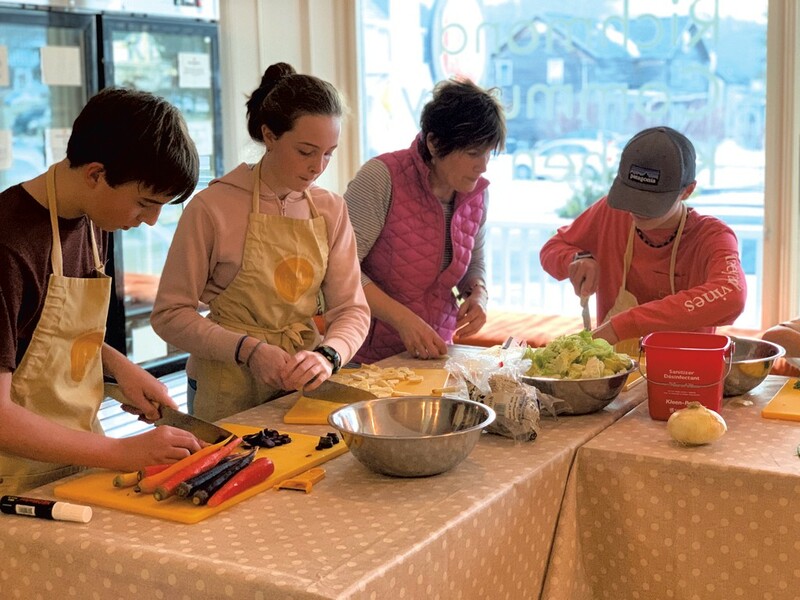 The business, run by local moms Susan Whitman and Amy Gifford, has been offering prepared meals and cooking classes, with a focus on local food, from their storefront in the heart of Richmond since 2017. Their Family Night Out series, which launched in January, is a partnership with Balance Yoga — another woman-run, Richmond business — and supported in part by a grant from RiseVT, a community initiative designed to help Vermonters embrace healthy lifestyles. The first class in January — which featured a menu of winter green salad with maple vinaigrette, farmers market vegetable soup, cheesy toast and baked apples — was a huge success, said Whitman. "There was a lot of gushing going on." Classes geared to families are a big part of Richmond Community Kitchen's offerings because, she said, kids are just as much a part of the community as adults. And when kids learn to cook, she added, they're building important skills that will enhance their health and well-being later in life. Richmond Community Kitchen's next Family Night Out class takes place on Saturday, February 9, from 4 to 7 p.m. Kids must be between the ages of 6 and 13. Cost is $50 per child-adult pair, with scholarships available. A Valentine's Day parent-child class takes place on Sunday, February 10, from 1 to 3 p.m., and costs $65 per pair. 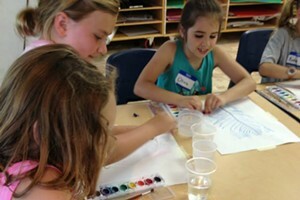 For more information on classes and camps, visit richmondcommunitykitchen.com.